The efficiency of cyclic heat engines is limited by the Carnot bound. 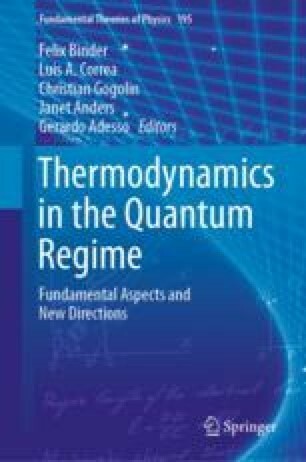 This bound follows from the second law of thermodynamics and is attained by engines that operate between two thermal baths under the reversibility condition whereby the total entropy does not increase. By contrast, the efficiency of engines powered by quantum non-thermal baths has been claimed to surpass the thermodynamic Carnot bound. The key to understanding the performance of such engines is a proper division of the energy supplied by the bath to the system into heat and work, depending on the associated change in the system entropy and ergotropy. Due to their hybrid character, the efficiency bound for quantum engines powered by a non-thermal bath does not solely follow from the laws of thermodynamics. Hence, the thermodynamic Carnot bound is inapplicable to such hybrid engines. Yet, they do not violate the principles of thermodynamics. An alternative means of boosting machine performance is the concept of heat-to-work conversion catalysis by quantum non-linear (squeezed) pumping of the piston mode. This enhancement is due to the increased ability of the squeezed piston to store ergotropy. Since the catalyzed machine is fueled by thermal baths, it adheres to the Carnot bound. We conclude by arguing that it is not quantumness per se that improves the machine performance, but rather the properties of the baths, the working fluid and the piston that boost the ergotropy and minimize the wasted heat in both the input and the output. We acknowledge discussions with A. G. Kofman and support from ISF, DFG and VATAT. W. N. acknowledges support from an ESQ fellowship of the Austrian Academy of Sciences (ÖAW).